(From Konica Minolta lens literature) An ultra-wide-angle zoom lens that offers enhanced perspective and superb edge-to-edge sharpness. The "DT" Lenses (Digital Technology) deliver a new optical system that is intended for digital SLR Cameras. 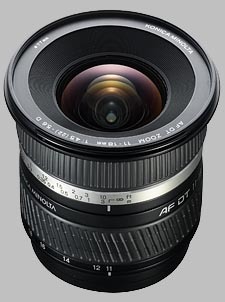 The Konica Minolta 11-18mm f/4-5.6 D AF DT doesn't have any user reviews yet!